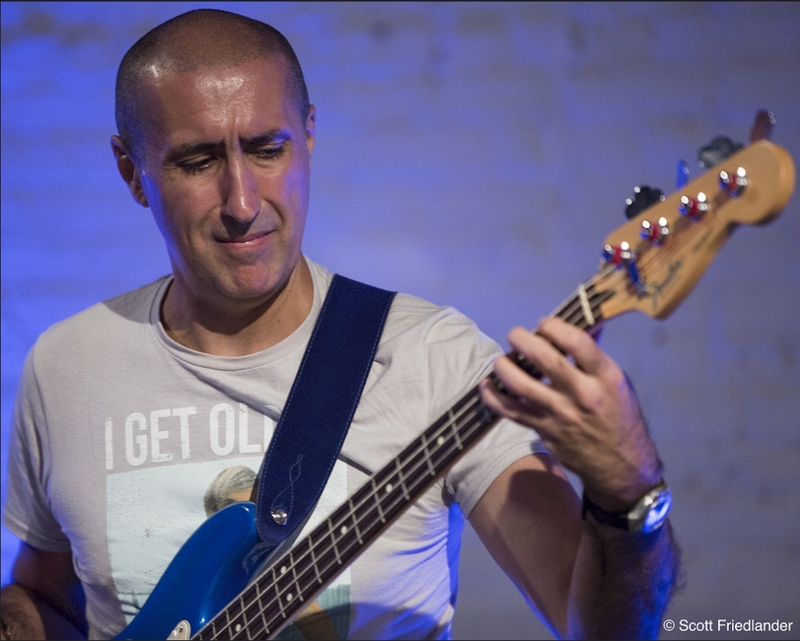 Arthur Sadowsky is now considered one of the top electric bass players on the New York scene. He is the musical director of “Arthur Sadowsky & The Troubadours” regularly gigging in Manhattan. Currently he is performing, composing, and arranging. Sadowsky and the Troubadours perform a modern version of classic jazz that is stimulating to the jazz enthusiast while at the same time very melodically pleasing to the casual music lover. Born and raised in the icy tundras of the USSR, Arthur was surrounded by music and art from a very young age and knew this was going to be a life-long passion. Having studied Russian classical music throughout his childhood, it wasn’t until the age of 14, when Arthur heard the music of Joe Zawinul, his life would change forever. Hearing jazz for the first time was the awakening he was looking for. According to Arthur, “It was like being able to fly or communicate with Dolphins.” Arthur knew that to pursue his dream he would have to leave his country. Through the years of study, Arthur has perfected his craft as a performer, composer, and arranger. Arthur Sadowsky has truly created his own unique sound with heavy influences from the great lineage of jazz musicians, most notably Duke Ellington, Thelonious Monk and Joe Zawinul. “I can’t wait to see what is next for me on this artistic journey through life. I am looking forward to sharing my deep and passionate love of music with all of you. Please stay tuned and never stop swinging,” Arthur proclaims!